Workstation for you kitchen in black walnut. 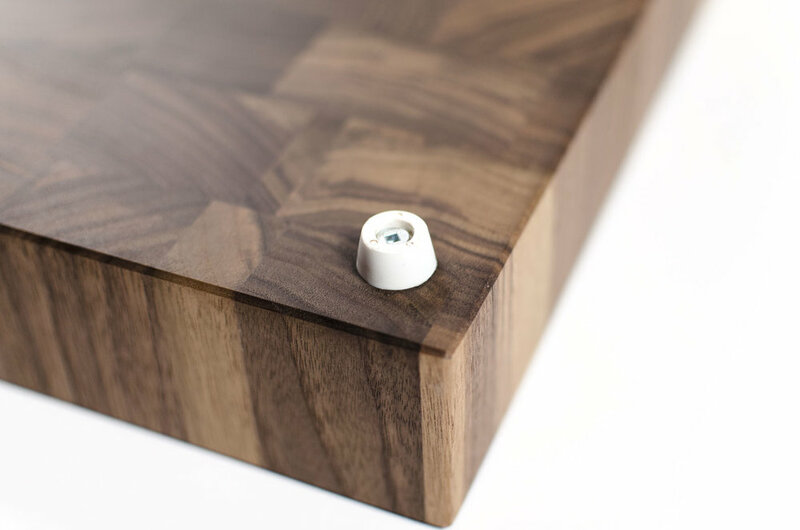 This butcher block is mounted on non-skid rubber feet for optimum adhesion to your kitchen counter. Perfect as for the amateur as to professional. You will be able to cook with your family on this large kitchen board. Oil is necessary to protect the wood surface.